Hearing aids teach deaf children the rhythmic patterns of speech, Clarke School for the Deaf, Northampton, Massachusetts. March 1955. The November 2017 issue of History of Psychology is now online. Articles in this issue explore the American Gestalt psychology’s role at the Clarke School for the Deaf, Luigi Luciani’s work on consciousness in relation to localizationism, and professional psychology in Germany during the National Socialist period. (A fun collection of images from the Clarke School for the Deaf from 1955 is also available from Getty Images.) Full details below. 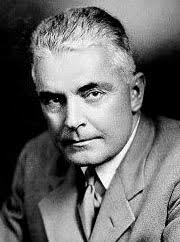 When, in 1928, the Clarke School for the Deaf in Northampton, Massachusetts, opened a psychological research division, it was nothing unusual in a time fascinated with the sciences of education. Yet with its longstanding ties to Northampton’s Smith College, the school was able to secure the collaboration of eminent Gestalt psychologist Kurt Koffka, who, in turn, engaged 2 more German-speaking emigrants, Margarete Eberhardt and social psychologist Fritz Heider, and Heider’s American wife Grace Moore Heider. This collaboration has seen little attention from historians, who have treated Koffka’s and Heider’s time in Northampton as a transitory phase. I argue, however, that their research on deafness adds to the history of emigration and knowledge transfer between European and American Schools of psychology, and to historical understanding of the interrelation of Gestalt, child, and social psychology. Professionals in child studies and developmental psychology were keenly interested in the holistic and introspective approach Gestalt psychology offered. Deaf children were considered a particularly fascinating research population for exploring the relationship between thought and language, perception and development, Gestalt, and reality. At the Clarke School, Grace Moore Heider was among the first Americans to apply Gestalt principles to child psychology. In a time in which pejorative eugenic beliefs dominated professional perceptions of disability, the Heiders’ groundbreaking work defined the deaf as a social and phenomenological minority. This was in opposition to dominant beliefs in deaf education, yet it points to early roots of a social model of deafness and disability, which historians usually locate in 1960s and ’70s activism. Cheiron: The International Society for the History of the Behavioral and Social Sciences has announced their 2017 Book Prize winner. Congratulations to Susanna Blumenthal! 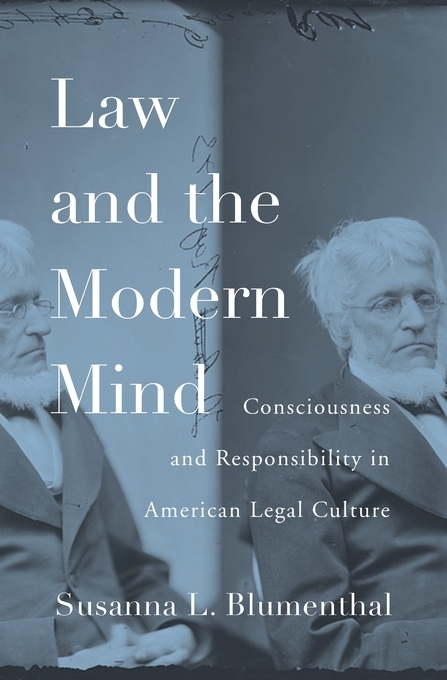 Cheiron awards the 2017 Cheiron Book Prize to Susanna L. Blumenthal (Julius E. Davis Professor of Law and Associate Professor of History at the University of Minnesota) for Law and the Modern Mind: Consciousness and Responsibility in American Culture (Harvard University Press, 2016). Dr. Blumenthal’s book contributes much to our understanding of the quandaries that lawyers and jurists faced and explored as they considered the appropriate legal relations between human activity and culpability, particularly over the course of the nineteenth century. During the early years of the American republic, as the precedents following from inherited position fell away, jurists found themselves having to consider matters of standing, evidence, and responsibility in new ways. In doing so, they found that human subjectivity took on new consequences. Well into this process, Associate Justice Oliver Wendell Holmes Jr. wrote in 1894, “In a proper sense the state of a man’s consciousness always is material to his liability.” Relying on extensive knowledge of the primary sources (including routine civil and criminal cases), Blumenthal provides historians, psychologists, anthropologists, and other readers with an invigorated understanding of the emergence of refined notions of the individual (generally white men, at that time): they became singular legal persons, and there were circumstances by which such legal persons could be held culpable for their actions or culpability might be limited due to mental impairments of various sorts. Blumenthal’s prose is lucid and subtle. Her exposition is both magisterial and thought-provoking. For example, the historical examination of the jurisprudence of insanity illuminates contemporary attitudes toward ‘others’—children, women, and slaves. Members of the 2017 Cheiron Book Prize Committee: Jennifer Bazar, Elissa Rodkey, Gerald Sullivan (Chair), and Phyllis Wentworth. The 2017 Cheiron Book Prize will be formally presented at the annual meeting of Cheiron, June 22-25, at Mississippi State University, Starkville. The popular publication on science, Nautilus, offers two recent features relevant to our readership. The first is an adroit biographical and theoretical sketch of distinctive psychologist and historian of psychology Julian Jaynes. In addition to a survey of the impact his opus The Origin of Consciousness in the Breakdown of the Bicameral Mind made upon its publication, focus is also placed on current interpretations of his polarizing thinking, and the ways in which it can be said to have anticipated persistent “vexations” in neuroscience. Find here. The second, in spite of a somewhat click-baity title, provides a rather nuanced and concise history of research on gender differences in ‘spatial skills,’ touching on the various tensions that are at play in any discussion of why females are currently understood to struggle with spatial cognition, including the perennial oversimplification of a nature/nurture dichotomy, social construction, neuro plasticity, sexism in STEM fields, and even evolutionary explanations. Find here. Two related resources are also included below.